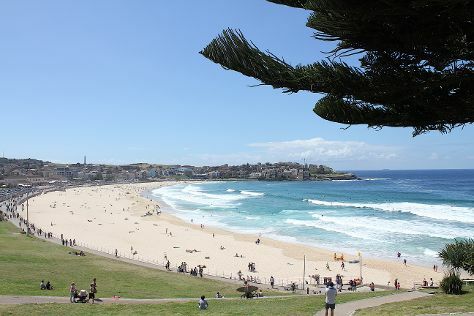 Visiting Bondi Beach and Sydney Harbour National Park will get you outdoors. Deepen your sense of the past at sights like The Rocks and The National Pass. Go for a jaunt from Sydney to Katoomba to see Wentworth Falls about 1h 30 min away. There's lots more to do: enjoy the sand and surf at Manly Beach, take in the views from Sydney Harbour Bridge, take a stroll through Darling Harbour, and contemplate the long history of Government House. To see other places to visit, traveler tips, where to stay, and other tourist information, read Sydney planning app . Ocean City, USA to Sydney is an approximately 28-hour combination of bus and flight. You can also do a combination of bus, train, and flight; or do a combination of bus, flight, and train. The time zone difference when traveling from Ocean City to Sydney is 15 hours. While traveling from Ocean City, expect a bit warmer days and much hotter nights in Sydney, ranging from highs of 77°F to lows of 62°F. Finish up your sightseeing early on the 25th (Mon) so you can travel to Melbourne. Old Melbourne Gaol and Shrine of Remembrance will appeal to history buffs. Step out of the city life by going to Melbourne Zoo and Nature & Wildlife Tours. When in Melbourne, make a side trip to see Werribee Open Range Zoo in Werribee, approximately 42 minutes away. The adventure continues: take in nature's colorful creations at Royal Botanic Gardens, see the interesting displays at Melbourne Museum, pause for some serene contemplation at Trinity College Chapel, and take in the spiritual surroundings of St Paul's Cathedral. To see where to stay, ratings, maps, and tourist information, read Melbourne road trip planner. Fly from Sydney to Melbourne in 3.5 hours. Alternatively, you can do a combination of flight and shuttle; or drive. Expect a bit cooler evenings in Melbourne when traveling from Sydney in November, with lows around 50°F. Finish up your sightseeing early on the 1st (Sun) so you can travel to Port Douglas. Get outdoors at Scuba & Snorkeling and Wildlife Habitat Port Douglas. Spend the 3rd (Tue) spotting exotic species with a safari tour. Next up on the itinerary: identify plant and animal life at Hartley's Crocodile Adventures, kick back and relax at Four Mile Beach, trot along with a tour on horseback, and stop by With Sugar. To find reviews, where to stay, other places to visit, and tourist information, read our Port Douglas road trip planner. Traveling by combination of flight and shuttle from Melbourne to Port Douglas takes 6.5 hours. Alternatively, you can drive; or do a combination of bus and train. Traveling from Melbourne in December, expect Port Douglas to be a bit warmer, temps between 88°F and 73°F. Finish up your sightseeing early on the 5th (Thu) so you can go by car to Cairns. Get outdoors at Scuba & Snorkeling and Nature & Wildlife Tours. Get some historical perspective at St Monica's Cathedral and McLeod Street Pioneer Cemetery. You'll find plenty of places to visit near Cairns: Palm Cove (Annie's Ladies Boutique, Palm Cove Beach, & more). It doesn't end there: trek along Esplanade Boardwalk and admire the landmark architecture of Freshwater Station. For ratings, reviews, where to stay, and more tourist information, read our Cairns visit planning site . Traveling by car from Port Douglas to Cairns takes 1.5 hours. Alternatively, you can take a bus; or take a shuttle. In December, daily temperatures in Cairns can reach 88°F, while at night they dip to 73°F. Cap off your sightseeing on the 9th (Mon) early enough to travel to Whitsunday Island. Start off your visit on the 10th (Tue): explore the activities along Hill Inlet and then kick back and relax at Whitehaven Beach. To see ratings, other places to visit, photos, and more tourist information, use the Whitsunday Island trip itinerary planner. You can fly from Cairns to Whitsunday Island in 3 hours. Other options are to take a train; or take a bus. 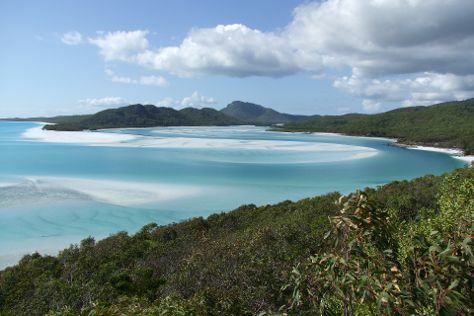 In December, daily temperatures in Whitsunday Island can reach 89°F, while at night they dip to 69°F. Cap off your sightseeing on the 10th (Tue) early enough to catcht the bus to Airlie Beach. Get outdoors at Scuba & Snorkeling and Waterskiing & Jetskiing. On the 12th (Thu), spend a thrilling day on the water with a speed boat tour. There's more to do: tour the pleasant surroundings at Airlie Beach Lagoon and stop by Grotty Yachty Clothing. To see more things to do, maps, where to stay, and other tourist information, you can read our Airlie Beach online tour itinerary planner . You can take a bus from Whitsunday Island to Airlie Beach in an hour. Another option is to ride a ferry. Traveling from Whitsunday Island in December, plan for a bit warmer nights in Airlie Beach, with lows around 75°F. Finish your sightseeing early on the 13th (Fri) so you can travel back home.